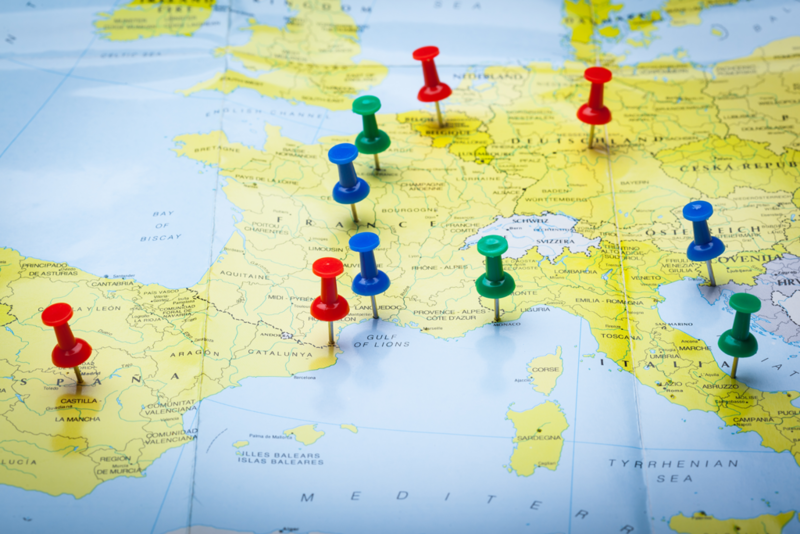 A product’s geographic indication (GI) indicates if it has the characteristics of the environmental or cultural conditions found in a specific area, region or territory. Even though there are methods to track where a product has originated from, some producers have misled consumers on where their goods were created, causing a brand’s reputation to be called into question. 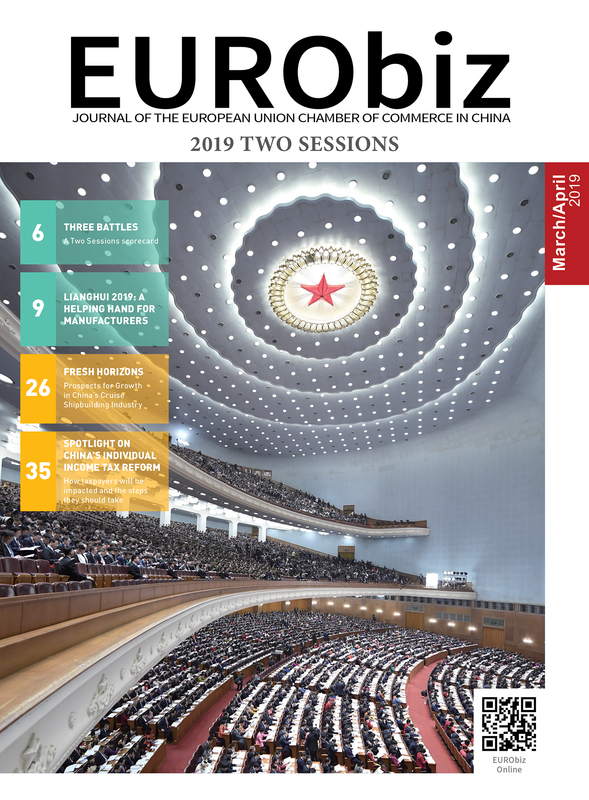 In this article, Andrew Zhang, partner, and Mireia Paulo, director of the European-American Market, from A&Z Law Firm, provide the solution to this problem and advise on how to best protect the interests of European companies working with cheese and wine products in mainland China. According to Article 16 of the 2014 China Trademark Law, a GI signifies the goods’ place of origin for which the specific quality, reputation and other features are determined by the natural or cultural factors of the region. GIs are protected in China and the 28 European Union (EU) Member States to avoid misleading consumers and to prevent unfair competition. the Notice of the General Administration of Quality Supervision, Inspection and Quarantine on Issuing the Measures for the Protection of Foreign Geographical Indication Products. According to these regulations, an applicant needs to apply with the former General Administration of Quality Supervision, Inspection and Quarantine to protect their foreign GI products, however, that duty now lies with the State Administration for Market Regulation (SAMR). It is recommended that the relevant authority in the country or region of origin also support or refer the applicant. The business should bear in mind that not all countries or regions are recognised, only those that have been accepted by the Chinese Government can apply for GI product protection. Fortunately for European companies, China and the EU have already established formal means of cooperating on the protection of GIs. Currently, there are 21 types of European products under the EU’s system of protecting GIs (including four types of British products) that are also protected in China. 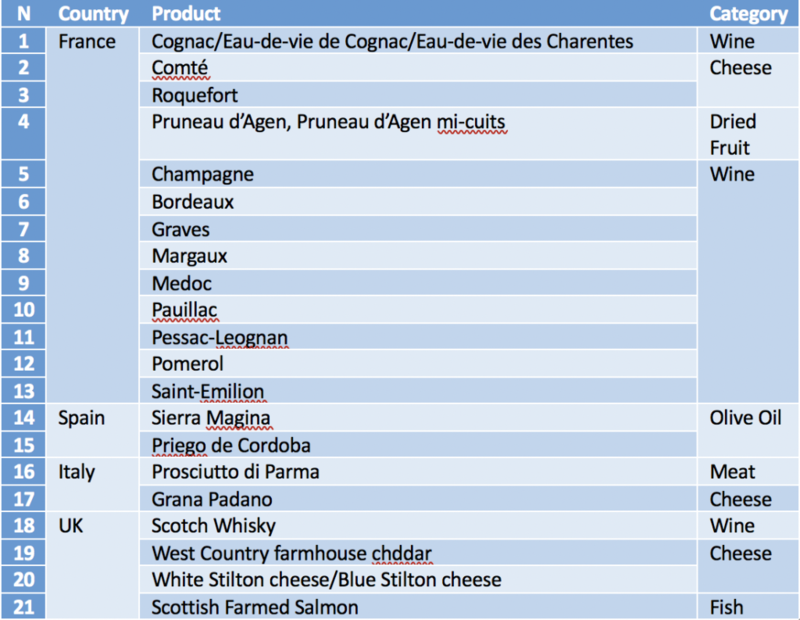 A further 79 applications have been accepted by the Chinese Government, covering 79 types of European products produced in 21 EU Member States, many of which include wine and cheese products. We foresee most of these applications being approved by the Chinese Government in the near future. If the European products exported to China are listed in the Chinese list of protected GIs, producers, industry associations and other communities from the place of origin can apply for the SAMR to use ‘special signs’ signifying a product’s GI once it makes its way into China. After the applications are approved, the applicant (i.e. the obligee) can then take advantage of this system to safeguard their legal interests and promote their business in China. The obligee can place their special signs on the product, label, packaging or in its promotion, to show the difference between the products sold by them and similar products without the same indications. By differentiating one’s products, sales may increase due to the customer’s preference for the special qualities found in the obligee’s product. If the obligee finds that any of the listed activities below have taken place, they could report the infringement to the SAMR, along with the Administration for Market Regulation and customs authorities at the provincial level, prompting the government to investigate and punish any illegal action. Furthermore, the obligee could also file a lawsuit against the infringer directly in order to protect its interests. any use of misleading names or signs that are similar to special signs, words or patterns that are likely to mislead consumers, or behaviour that makes consumers mistake such products for the protected products of a particular GI. the product has seriously violated the relevant laws and regulations of the People’s Republic of China. The obligee must maintain the particular level of quality found in their GI products and use special signs in compliance with the relevant Chinese laws to avoid their protection being cancelled. What should come first: trademark or GI registration? If the GI application for the wine or cheese products has not yet been accepted or approved by the appropriate Chinese authorities, it is advisable to first apply for the trademark to avoid potential impediments. According to the Trademark Law, in the event that a trademark has been registered in ‘goodwill’, even if it contains a GI that misleads the public, such registration shall continue to be valid. In conclusion, European companies that wish to export wine and cheese products—that come from a specific geographical region, to China—should register their GI, as it will help to prove the product’s origin. The number of Chinese middle-class consumers is growing fast, and they are increasingly becoming concerned with food safety and quality, including where certain ingredients originated from. Chinese consumers are increasingly willing to pay a higher price for a better quality of product in order to improve their quality of life, and GIs increase consumer trust and help to identify these products. The protection system for GIs in China will bring added value to European products in the Chinese market by making them more competitive and simultaneously protecting the company’s legal interests. A&Z is a leading Chinese law firm, which employs over 55 experts consisting of attorneys, legal practitioners and business analysts across 11 jurisdictions. The Shanghai, Beijing, Dalian, Wuhan and Tokyo offices provide a full range of services covering foreign investment, overseas investment, competition and antitrust, intellectual property, mergers and acquisitions, and corporate restructuring, labour and social security, dispute resolution, compliance and corporate social responsibility, finance and capital markets, customs logistics and maritime commerce, and environment, health and safety. Share the post "Where is This From Again?"